In my last column I wrote about the William Bridges paper “They Say the Kankakee is Coming back.” Bridges used William Cameron’s Indian Garden conservation project as an example of a private individual’s successful efforts to restore a portion of the newly channelized Kankakee. Bridges wrote: “Cameron had a thousand acres of bottom land along the old river bed; wild, rough, covered with scrub timber and unfit for anything but grazing.” Cameron decided to turn the unproductive property back into marsh. 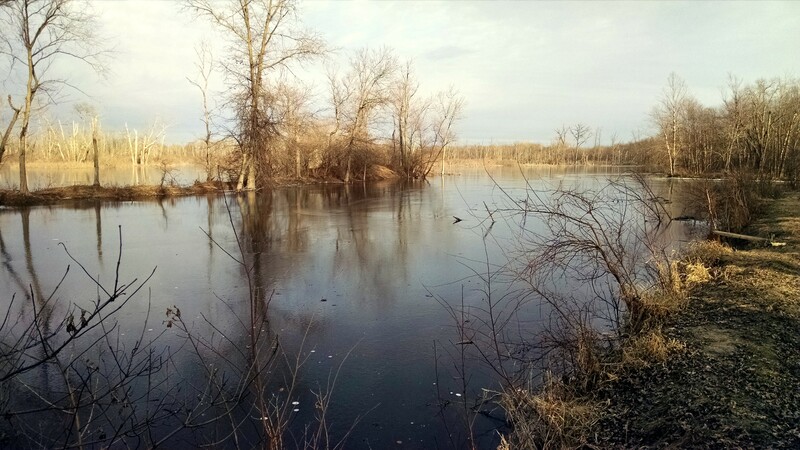 After the draining of the Kankakee Marsh the waterfowl migratory pattern shifted from Indiana to Illinois and Iowa. After Cameron’s restoration project Bridges wrote: “ducks are coming back and the number of migratory birds has doubled each year for the past four years, muskrats are building villages and the water is teeming with fish.”For those interested in conservation and restoration efforts along the Kankakee, Cameron is someone worth studying. William Cameron was born in October, 1873 to James and Margaret Allen Cameron in Aberdeen, Scotland. William apprenticed as a machinist in Moir’s Cannery in Aberdeen. Saving his money he immigrated to the United States in May, 1896 and soon was managing can companies in Chicago. In 1902 he joined Torris Wold & Stamping Co. as a designer of can making machinery and received a share of the company. Torris Wold & C. continued to grow and by 1910 Cameron was superintendent of the company, then in 1914 he was made president. In 1919 Cameron changed the name of the company to Cameron Can Machinery Co. Through hard work and a shrewd business sense Cameron became a very wealthy man. Besides business, Cameron held many other interests and was well-known as an avid sportsman, spending much of his free time hunting and fishing. In around 1908 Cameron became friends with George H. Kirk who built the boilers used by Torris Wold. They soon discovered their shared interest of the outdoors. Kirk owned a cabin near Thayer on the Kankakee River. Cameron soon joined Kirk on trips to his cabin. In 1914 Cameron purchased a large open air automobile and began taking his family on trips to the Kankakee. 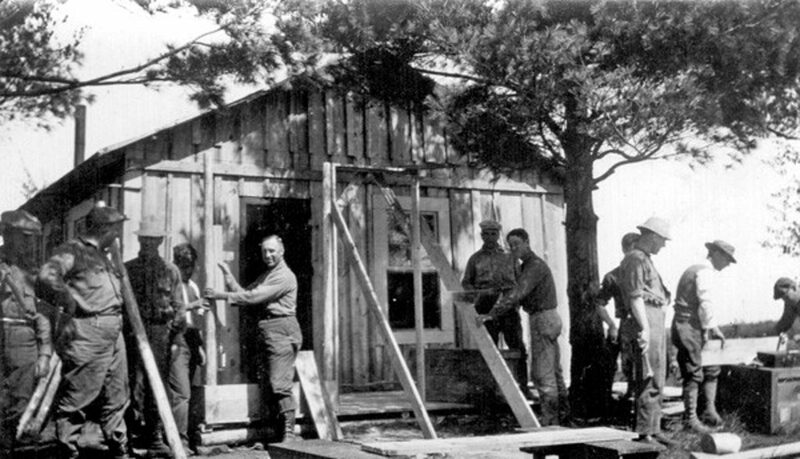 The Kirk cabin was too small for the Cameron family so they stayed at the nearby Fogli Hotel. Eventually, Cameron needed a place of his own. In around 1920 Cameron acquired 1,300 acres of land along the Kankakee River near Shelby. The property was on both sides of the Kankakee where Lake, Newton and Jasper counties intersect. 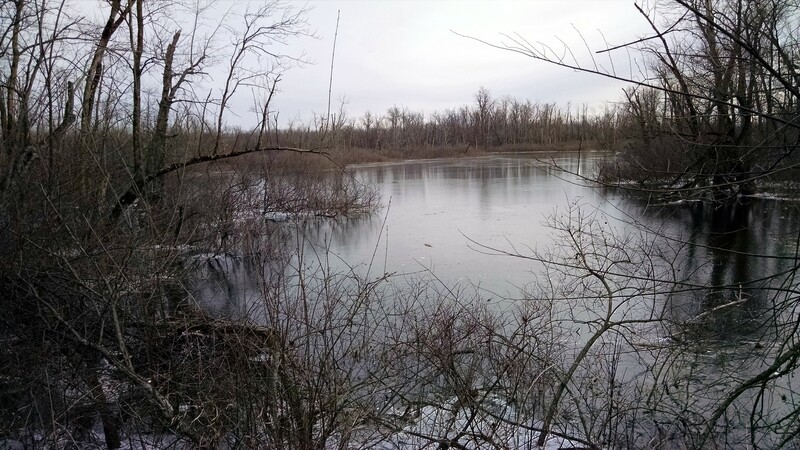 Within a few years he had built a house, out buildings and had channels dug to connect existing ponds— creating the Indian Gardens Game Preserve. Cameron’s plan to create a restored marsh was to divert the channelized Kankakee upstream from his property into the chain of ponds he had excavated. Downstream from his property he dug a ditch back into the river. By using a system of floodgates and pumps he was able to maintain the water level and flow in the restored marsh. In most cases he was merely using the original river bed— simple and ingenious at the same time. 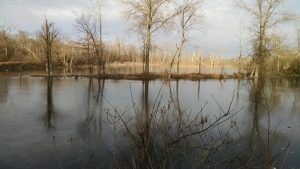 Being Cameron’s property was on both sides of the Kankakee, a boat was necessary to travel to the two sides… Cameron was able to convince the commissioners of the three counties to build a bridge a short distance from his river home at Range Line Rd— facilitating easy access. After nearly a hundred years the bridge needed to be replaced. Indiana required the bridge to be donated to a public non-profit organization. The Kankakee Valley Historical Society was awarded the bridge. It is now stored at the Collier Lodge historic site with the plan to have it span a segment of the original Kankakee just south of the Collier Lodge. William Cameron passed away in 1934. The Cameron family still owns and manages the Indian Gardens Game Preserve. 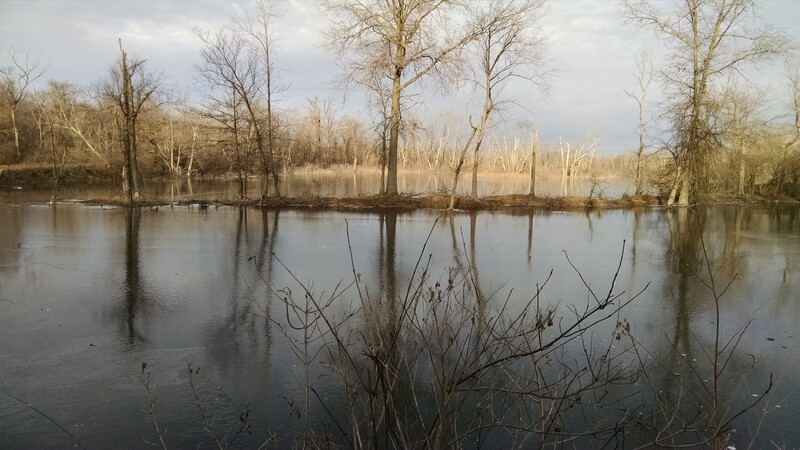 I consider William Cameron to be the father of modern Kankakee River restoration projects. Much of today’s marsh restoration patterns his Indian Gardens project. Go here for the William Cameron Family History page. In February, 2017 KVHS BOD member, Bob Riggs, and I was invited by the Cameron family to tour their Indiana Gardens property. Below are some pictures I took during the tour.